Planning a trip to Westchester couldn't be easier. Westchester offers a wide variety of accommodations, dining options and activities to meet the vacation styles or business needs of just about everyone. If you want to simply enjoy the great outdoors in Westchester's parks and preserves, or have an evening in New York City, you can plan your trip here. You can search hotels and conference centers for business meetings or bed and breakfasts for romantic get-aways. Sports enthusiasts can explore the extraordinary trails that crisscross the county. Kids - big and little - will enjoy Westchester&apos;s historic Playland park. 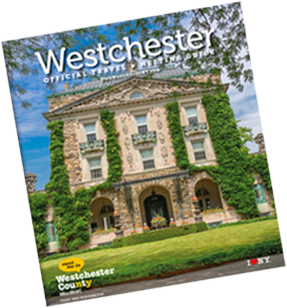 With so many things to do in Westchester, we hope you stay awhile. Whether you want to rest in a Castle Hotel & Spa on the Hudson or an ultra-modern hotel, Westchester can accommodate every budget and personal taste. If you&apos;re planning a business conference away from the office, meeting space in Westchester is plentiful, including theaters, classrooms, banquet halls and hotels with business centers and wireless Internet access. Conference centers offer a chance for team-building activities, too. The Tarrytown House Estate and Conference Center, located in two 19th-century mansions on 26 acres, revolutionized the meeting industry when it opened in 1964, and today it&apos;s still the industry-leading destination. So take the time to explore our site. We think that once you see what you can do in Westchester, you&apos;ll be coming back soon.